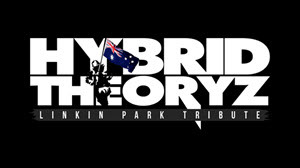 HYBRID THEORYZ are Australia's first and only 100% Linkin Park dedicated tribute band. Performing hits from albums such as "Hybrid Theory", "Meteora" and "Minutes to Midnight", 5 pro musicians deliver 2 dynamic and explosive sets paying honour to one of the greatest bands of their generation. This massive debut show cannot be missed if you are a Linkin Park fan. At The Newport Hotel we host great performances of all the CLASSIC SETS.